Light weight steel body with high quality coating, corrosion resistance, comfortable trigger grip handle, hardened rod, release plate and fulcrums.For 310ml and 400ml cartridges. 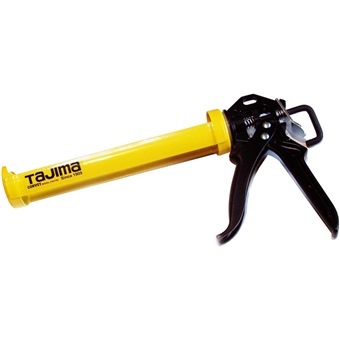 Light weight steel body with high quality coating, corrosion resistance, comfortable trigger grip handle, hardened rod, release plate and fulcrums. For 310ml and 400ml cartridges.